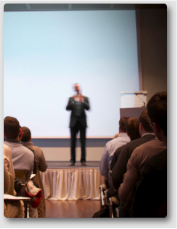 In conjunction with various organizations, K2E Canada Inc. develops and delivers two-day technology conferences across Canada. 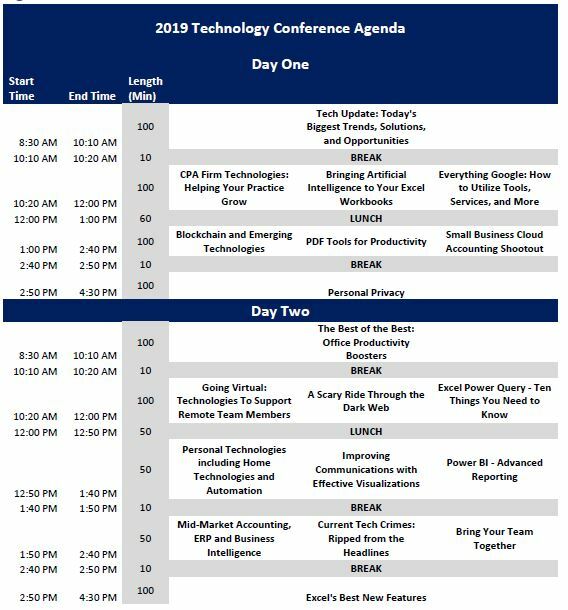 For approximately three decades, these conferences have provided participants with a premier choice for staying on top of the ever-changing world of technology as it relates to accounting, financial, and other business professionals. To ensure the relevancy of content, each year the topics for these conferences are selected from a survey of over 80,000 CPAs across North America. The feedback gathered from these CPAs through survey is, in turn, used to identify the sessions presented during these conferences. This process helps to ensure that the topics presented are relevant and timely, and that participants’ educational needs are met.